3GP Converter With Bug Fixers - Free Download ! Although you have so many converters for 3GP conversion yet this is new for you because it has come with some additional facilities. This converter has come from MacVide. The name of the converter is MacVide 3GP converter 1.7. This is used for maintaining the mobile phone that fixes the bugs and tweak performance of the applications. 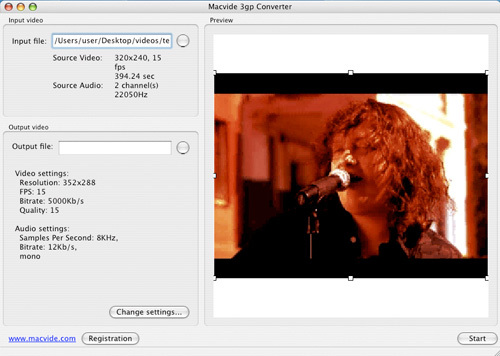 This converter can support MOV, 3GP, MPEG, AVI and moreover other video standards. 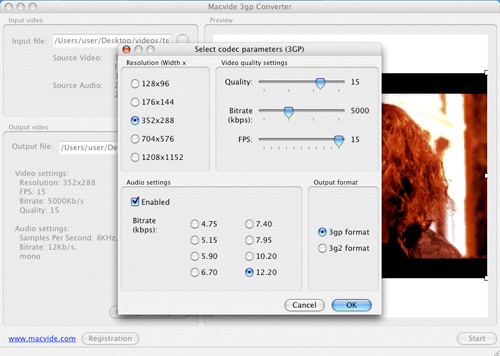 We can use this converter to crop an area of the video, to adjust the bit rate, frame rate and video resolution of the videos. This converter software only works with Mac OS X 10.4 or later version. The cost of the converter is $30.